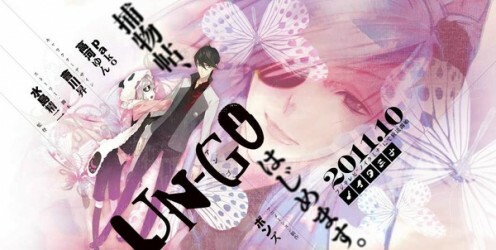 Un-Go is an anime series that was aired from October 14, 2011 until December 23, 2011. The series lasted for eleven episodes and is followed by a forty-five minute anime OVA called Un-Go episode 0: Inga Chapter. The series was written by Sho Aikawa and directed by Seiji Mizushima. Un-Go was created by the studio Bones and aired on the network called Fuji Television. 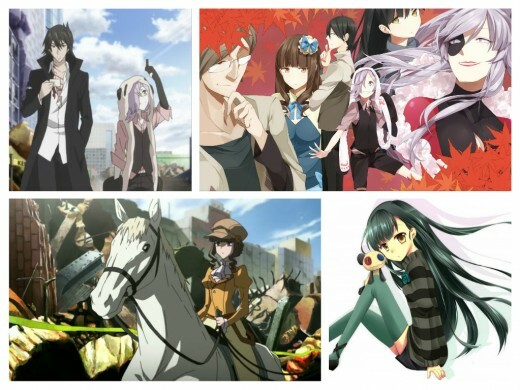 This anime combines the genres of: mystery, supernatural, science-fiction, and fantasy. In a sense, it does have a bit of the cyberpunk feel; but, it's nothing like the cyberpunk feel given by works such as Battle Angel Alita, Akira, Ergo Proxy, or Ghost In The Shell. Un-Go is a supernatural fantasy with a bit of the cyberpunk feel to it. 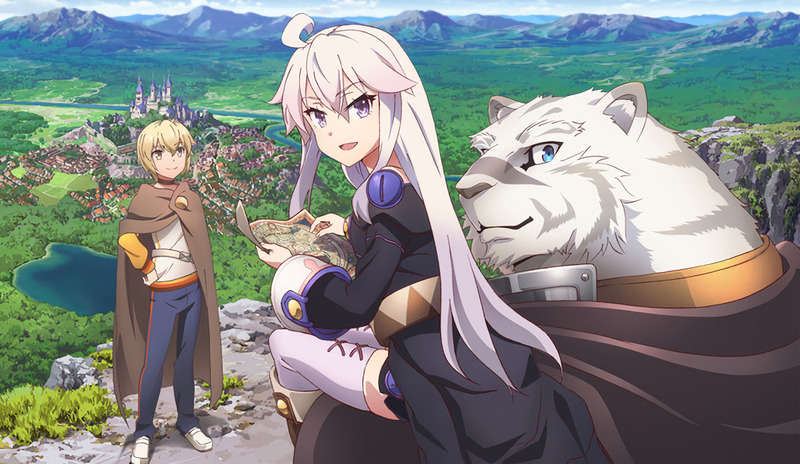 Currently, you can watch the series for free (with commercial breaks) on Crunchy Roll. It comes off as being a procedural animated drama where there's a start of a mystery to the end of the mystery. Think of Un-Go as something like Law and Order, but with the supernatural and sci-fi kick to it. Un-Go is available in Japanese subtitles and English dub. HIDIVE, currently in its beta phase, offers the full episode in English dub for all premium subscribers. As the platform is in beta, HIDIVE is offering an introductory price of $3.99/month. Stream Un-Go anywhere with the Crunchyroll app that's available for Kindle, iOS and Android devices. The storyline of Un-Go takes place in futuristic Japan. A good portion of one of the Japanese's cities was destroyed by constant terrorist attacks; but, it serves as a bohemian community. The Japanese Self-Defense Force (JSDF) have been deployed across the world as peace keepers. This is similar to Ghost In The Shell: 2nd GIG in which the JSDF has increased in its capacity. Without soldiers to protect the homeland of Japan, the country has been affected by war and terrorist attacks; but, that's not the focus of the storyline at all. That's just the simple setting of Un-Go. Instead, the storyline is relaxed and subtle; there's little to no combat action the series. The series centers on Shinjuro Yuuki who works as a private detective. He is nicknamed the “defeated detective” due to losing to his rival Rinroku Kaishou. So far, Yuuki's role is simply to solve cases that he's been hired to solve. When watching, you won't know about the central plot until later into the series. At the same time, the series' antagonist isn't revealed until the eight episode which is very close to the last episode. However, the story's main focus is Yuuki solving cases combined with interactions with various people such as his young eccentric partner Inga. The story, at the beginning, is more character-driven than story-driven. Yuuki solves the case while he constantly crosses paths with Kaishou who's one of the more mysterious characters despite being high-profile. For that, it does seem to be rather boring and cliché. It would be understandable if Un-Go had more episodes than just eleven. The story's climax doesn't have much of a climax. These are two major minuses of Un-Go. For the most part, this kind of comes across as GITS: SAC very very light. 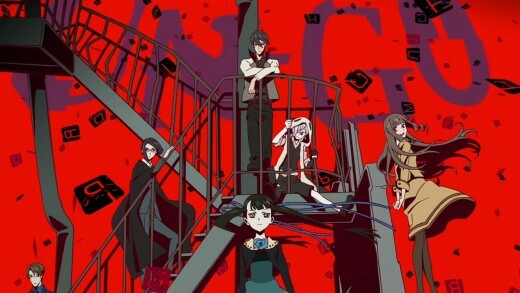 Un-Go focuses on seven characters for all the series. 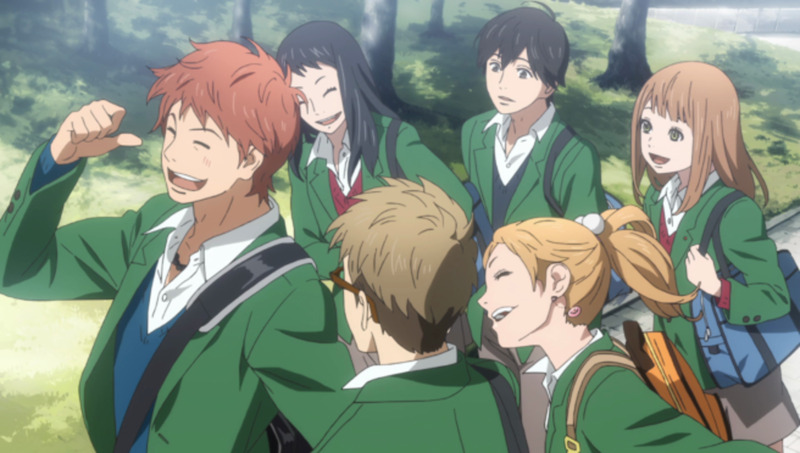 With the exception of Kazamori, who appears a few episodes later, all the main to major characters are present. You have Yuuki on one side and you have Kaishou and members of the police force on the other side. While they are supposed to work together and solve crimes, the two parties are rivals to each other. Yuuki is the ultimate main character of the series. He has a mysterious past which isn't explained until the release of Un-Go Episode 0: Inga Chapter. It turned out that Yuuki isn't his real name. He comes off as the stereotypical detective who is distant and aloof. In a sense, he comes off as being very introverted which contrasts to his partner Inga. Yuuki and Inga's relationship with each other is one of the things that drives the series. They made a pact with each other even before the series had started. Inga's actually the reason that Yuuki became a detective. He wanted to show Inga what a true human is. That way, Inga doesn't have to kill people and take their souls. As a result, Yuuki keeps to that promise. Inga, in the series, serves as Yuuki's partner in solving crimes. However, it's not a mutual partnership; in reality, Yuuki is subordinate to Inga. This fluctuating relationship is the driving factor of Un-Go's storyline. However, the two are protective of each other when the time needs. So far, Inga has two forms and two personalities. Through Inga, Un-Go has the fantasy and supernatural twist. The first form, which is the most common form, Inga looks like a skinny teenage boy. In a sense, it looks like Inga suffers from albinism due to the pale white skin. While in this form, Inga acts very bully, child-like, naïve, and carefree. Still, Inga is very loyal to Yuuki and vice versa. The second form, which takes place usually near the end of the episode, is of an adult mature well-endowed woman. In this form, Inga becomes very flirty, sexual, inquisitive, and sadistic. This is the form that Inga takes when extracting the truth out of people let alone culprits. Inga goes into this form when he cannot contain himself in child form when the truth is ready for the taking. That power becomes invaluable to Yuuki when solving cases. In the adult form, Inga asks and people have no choice but to answer her questions. Kazamori, after a few episodes, becomes Yuuki's second partner and acts as the more logical contrast to Inga. 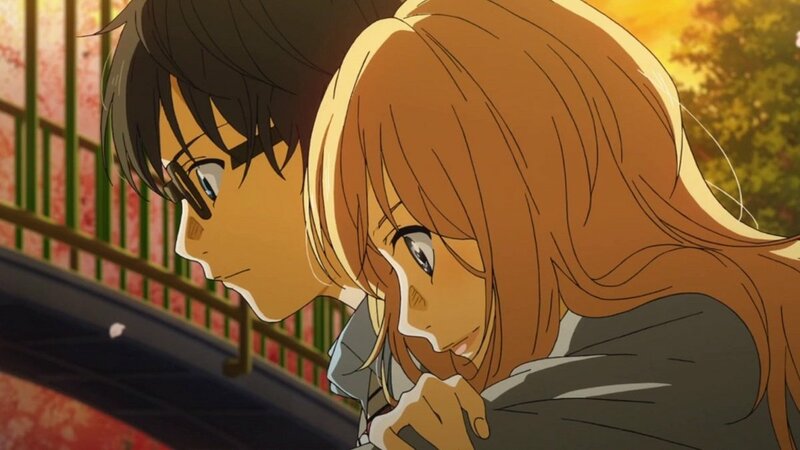 But, Kazamori and Inga do get along well as their relationship becomes one of the driving points of the story. This is a male “Real Artificial Intelligence” (RAI) that has two forms. That's because Kazamori can transfer his AI between a young girl that's about the age as Inga's first form and a small stuffed panda for infiltration purposes. In solving cases, Kazamori is invaluable due to being able to leave his bodies and search through cyberspace to find the information that Yuuki needs. However, Yuuki does question Kazamori's choice of picking the body of a young girl. Like Inga, Kazamori's loyal to Yuuki. While Inga helps with a supernatural angle, Kazamori assists from a scientific angle. In short, Yuuki's lucky to come across a highly advanced RAI. Rie is the daughter of Rinroku Kaishou. Due to the success of her father, Rie lived a privileged life. Also, Kaishou has proven to be a good dad to her. Despite being Kaishou's daughter, Rie proves to be an ally to Yuuki. She's the one who usually brings cases to Yuuki. Kaishou is Yuuki's biggest rival. This is because Kaishou holds a monopoly of Tokyo's communication infrastructure. That means Kaishou easily has access to all sorts of information which Yuuki has to find on his own. Also, Kaishou's deductions are usually right. While Yuuki does the grunt work, Kaishou can simply solve crimes from his office. He serves as an effective foil from Yuuki in that manner. By that extension, Kaishou's role as a foil is extended in which he uses his resources to cover up cases. While not a villain, Kaishou is the antithesis to a detective. Yuuki works to expose the truth whereas Kaishou feels that there are truths that should be covered up. Izumi is a prosecutor that may harbor feelings towards Kaishou. She usually gets involved in the same cases that Yuuki works on. In a sense, Izumi comes off somewhat of an antagonist to Yuuki. This is simply because she doesn't like Yuuki much. While Inga and Kazamori are loyal to Yuuki, Izumi is loyal to Kaishou. I do feel that Izumi secretly worships Kaishou. Seigen's the usual detective who gets involved in the same cases as he's partnered up with Izumi. His role gets expanded on near the end of the series. A list of the Japanese and English voice cast for Un-Go. The opening and ending tracks are interesting as they contrast each other. The opening song, “How To Go” by School Food Punishment, brings enough excitement to start off each episode of Un-Go. It has a Japanese modern pop-rock feel to it. While there isn't anything violent about Un-Go, this track seems to be somewhat appropriate for opening up the series. The ending song called “Fantasy” by LAMA has that calming and satisfying feel to it. When listening to that ending song, it gives each episode that satisfying feeling of closure. In a sense, it gives off the feel that the case and closed and you're ready to move onto the next one. Alone, this song has a nice calming effect to it. Own the entire season of Un-Go, 11 episodes total, on Blu-Ray. If you like anime series that deal in mystery, then Un-Go might be something you may enjoy; or, you might not enjoy it at all. 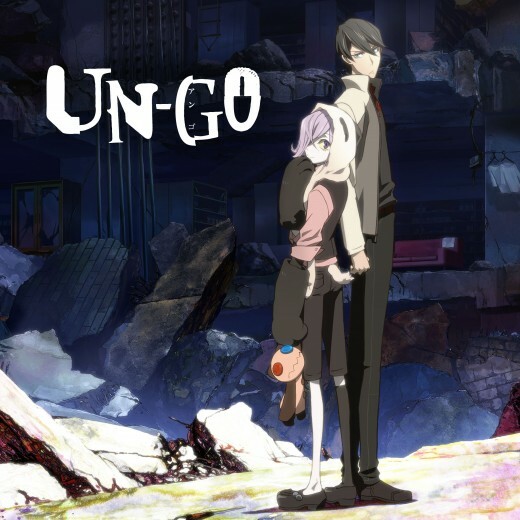 While there is a bit of humor, Un-Go is a mostly serious anime that has the feeling of procedure similar to your typical detective and crime-solving mysteries. But, it still has the feel of fantasy, supernatural, and sci-fi. If you enjoy anime like Psychic Detective Yakumo, you might appreciate the supernatural feel that Inga brings to the series. However, the series is pretty light on the supernatural stuff. It keeps the supernatural to a medium. If you enjoy GITS: SAC, you might somewhat appreciate the sci-fi feel to it. But, Kazamori might not be able to light a candle to GITS' Section 9. The sci-fi feel is limited through communication and cyberspace travel through Kazamori. To enjoy this anime, it'll be a matter of personal preferences. If you really want to see a lot of sci-fi and supernatural stuff, this might not be for you. At the same time, if you don't like things that are heavy on the sci-fi, you might like Un-Go. The major downside is that the series is only 11 episodes. To understand the story more, you would have to watch the prequel film. Un-Go undoubtedly deserves a second season and perhaps a third season, too.